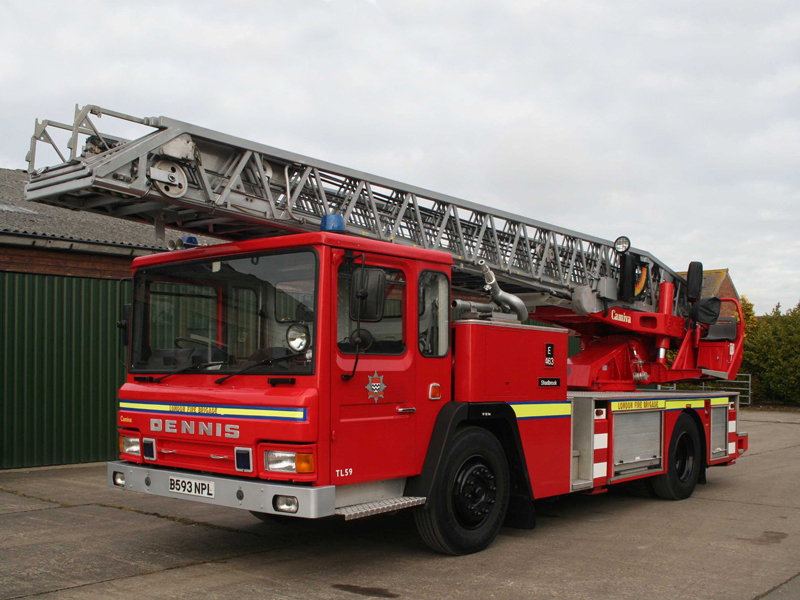 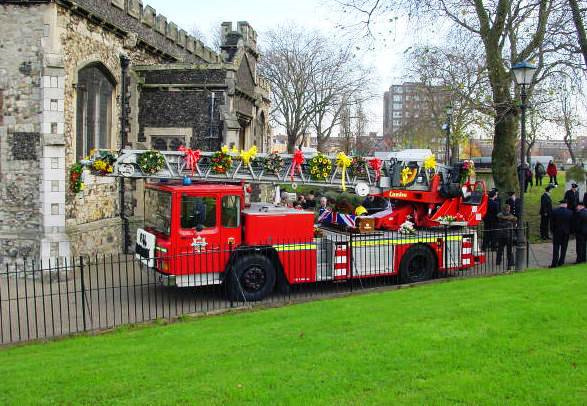 We have owned this 1985 Dennis F127 Camiva EPA30 Turntable Ladder for a number of years. 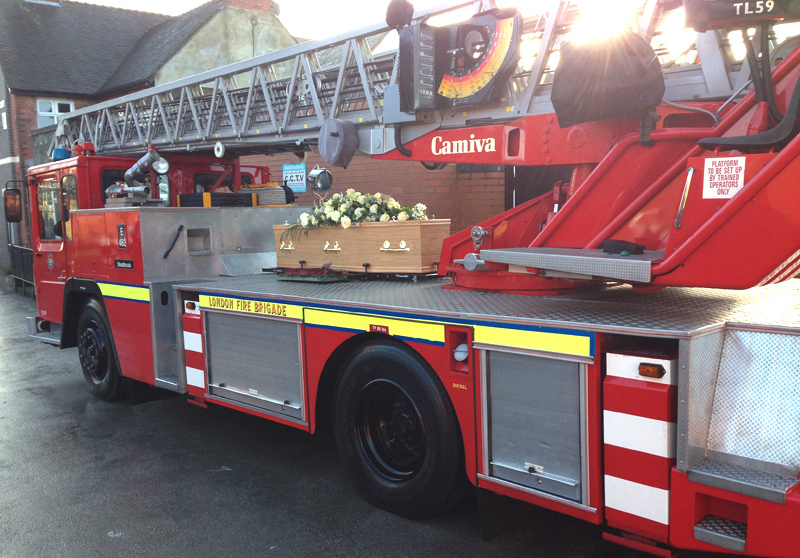 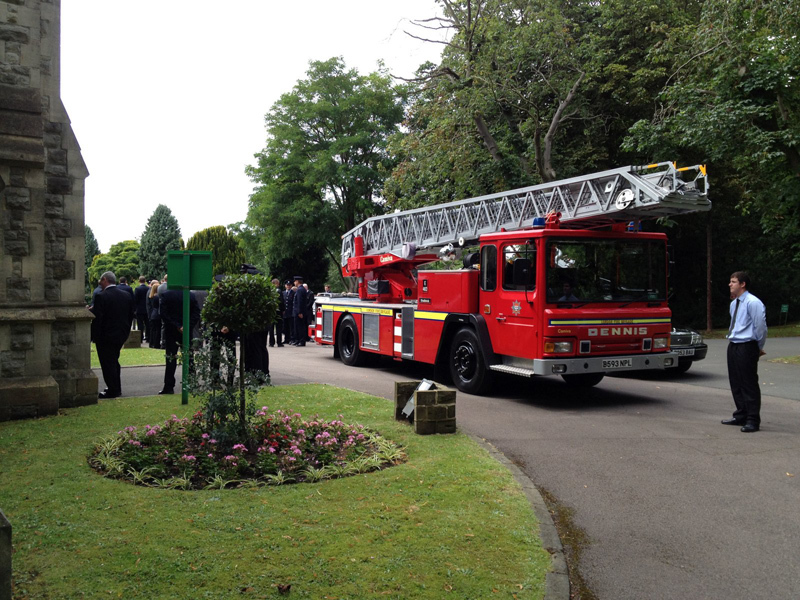 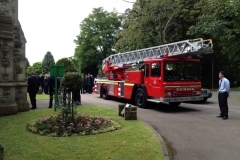 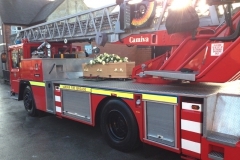 This appliance is specially adapted for funerals, with a purpose built rotating platform for the casket to be strapped on to. 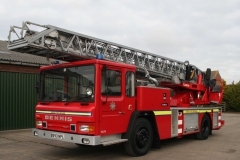 This appliance was built by Dennis specialist vehicles (Guildford Surrey) as a demonstrator and toured the country for about 18 months visiting brigades which showed an interest. 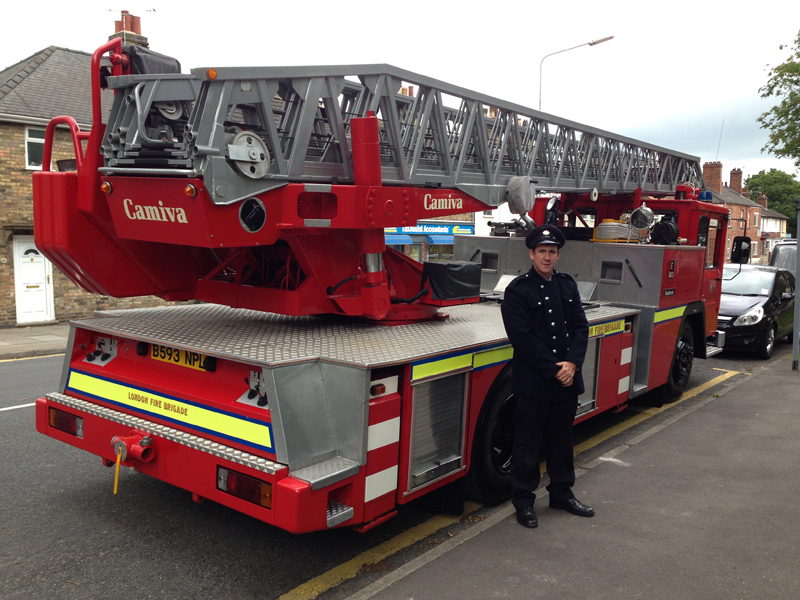 This was the 1st of only 6 built for the UK and served with the Merseyside Fire Service until 1998. 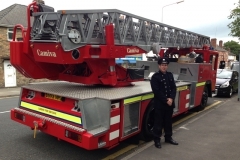 The vehicle is powered by a Perkins V8 turbo 540 engine and has an automatic gearbox. 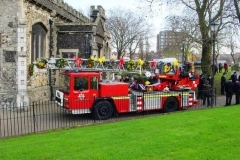 The power to the 100ft (30m) ladder is provided via a power take-off, which also provides power for the 5kW generator. 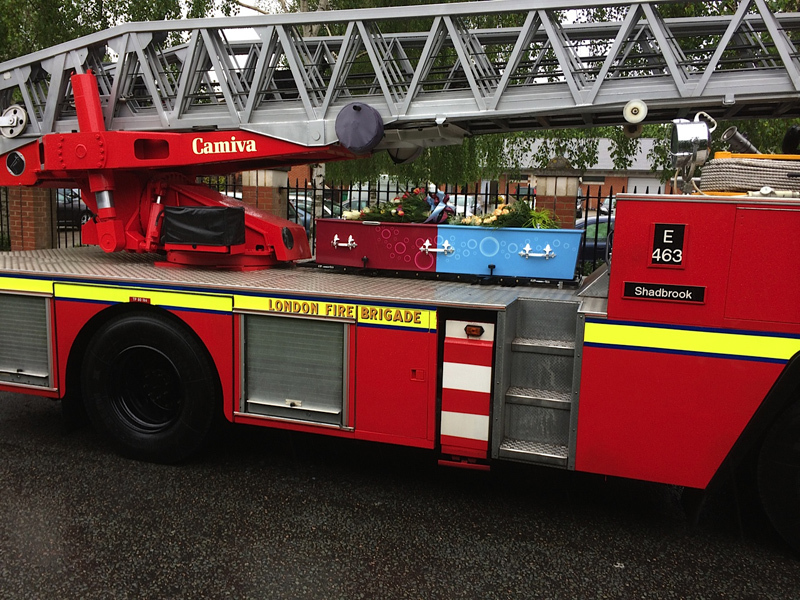 The ladder was built in France and can be elevated to 74º and extended to 30m in 20 seconds; it can also rotate a full 360º. 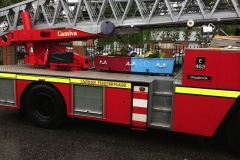 The onboard computer controls all safety limits and monitors manoeuvres.